Bachelorette JoJo Fletcher may officially be off the market, but her latest jaunt into reality TV has her putting properties on the market. On Tuesday, January 29, CNBC announced that it will be beefing up its Thursday night lineups with three new real estate series—one of which stars Fletcher and her fiancé, Jordan Rodgers. According to The Wrap, the series is tentatively titled Cash Pad, and will follow Fletcher and Rodgers, who are “serious house flippers,” as they partner up with homeowners looking to turn their properties into profit on the short-term rental market. The Bachelorette couple will imagine new possibilities for “ordinary spaces” and help make the homeowners into bona fide vacation rental landlords. Neither Fletcher, 28, nor Rodgers, 30, have made any public comments about their new series just yet, but no doubt that’s due in part to being busy with their other project, a web series that chronicles their life after The Bachelorette. It’s titled, appropriately, Engaged with JoJo and Jordan, and covers everything from comments from their fans on social media to planning their wedding (the pair have been engaged since 2016). “I’m still gonna end up getting married,” she says as part of the series’ teaser trailer. **2 PART VIDEO- SWIPE TO CONTINUE** There is nothing more rewarding than getting to the end of a long, hard remodel. (@jrodgers11 has a few scars from helping me on this one lol) I absolutely loved this transformation. Fletcher has been outspoken about her love for DIY projects in the past, and last March, she shared a video of the pair breaking down their Dallas home in a huge overhaul and remodel. “There is nothing more rewarding than getting to the end of a long, hard remodel. (@jrodgers11 has a few scars from helping me on this one lol) I absolutely loved this transformation,” she captioned a dramatic video of the home’s remodel. Want to build out your new home? Start your wedding registry here. 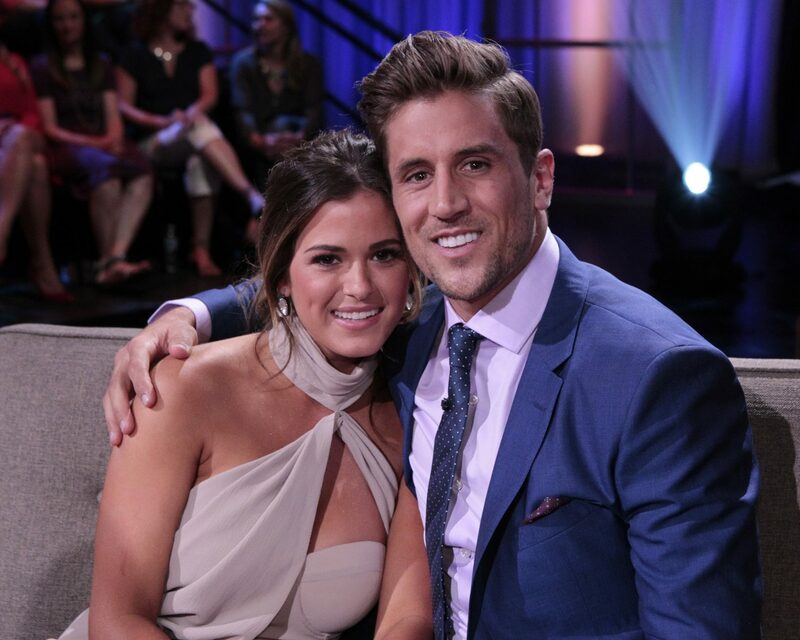 Be the first to comment on "Bachelorette Couple JoJo Fletcher and Jordan Rodgers Are Starring in a New Reality Series"